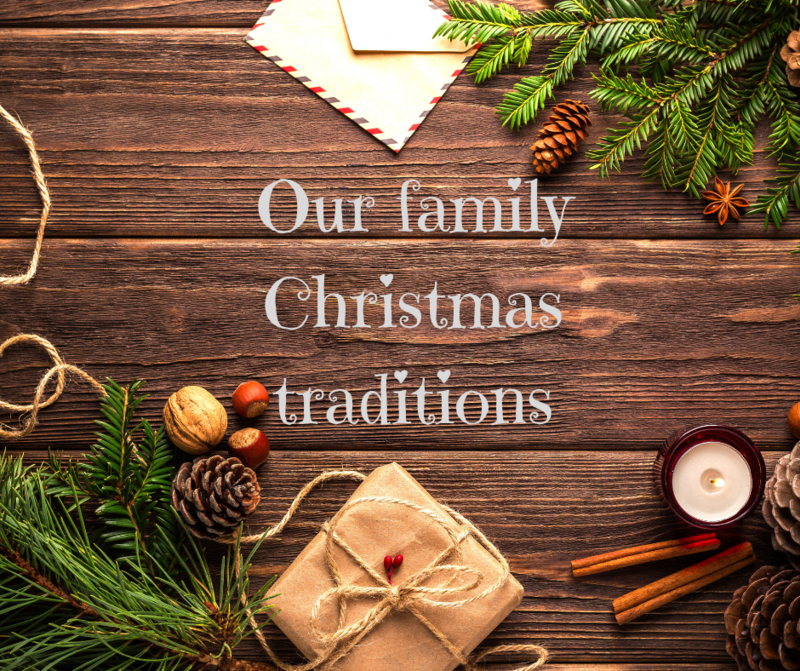 For the Other Mother’s November challenge, we’re talking about Christmas traditions. It doesn’t feel like December is almost upon us, this last year has gone by in a bit of a blur. Holidays, birthdays, our wedding and honeymoon…I’ll be sad to say goodbye to 2018. Here’s hoping that 2019 is just as good! We have quite a few Christmas traditions, made up from ones me and Gareth did as children and ones we’ve adopted. The festivities can’t begin until these things have happened and I’m going to share some of my favourites with you. We’ve lived in this part of the country for around 8 years, although me and Gareth now live an hour from where we met. Every year, we travel down to go to a shopping centre’s Christmas Grotto opening. They have a parade with a brass band, elves, women on stilts and of course, Santa himself. We meet up with my mum, sister and brother to go along and watch it. It’s something we’ve done since we moved and while it’s not the best Christmas parade in the world, it’s something we’ll do every year until. for whatever reason, we can’t. I don’t know about you but once Halloween is over, I’m stalking the Costa and Starbucks social media pages to see if they’ve announced their Christmas drinks. This year, I’m absolutely loving the Starbucks salted caramel brownie hot chocolate and I was so pleased to see Costa bring back their black forest hot chocolate. And even though we’re trying to reduce our plastic waste, the sight of the festive takeaway cups fills me with joy. If you follow me on Instagram, you’ll know that we made mince pies for the first time this year. Now, I’m partial to a Mr Kipling but there was just something special about making our own with the boys and then tucking into them while watching a Christmas film. It’s definitely something that we’ll be doing every year from now on. Gareth has had the same Christmas jumper for the past 3 years; it’s red with a reindeer on. Henry has one to match and last year, I found ones for me and Archie too but we didn’t wear them out. I managed to dig this photo out of the archives, it’s from two years ago and it makes me wish Henry was this small again! This is one Gareth used to do with his Nan and one which we try and carry on, although it is a bit difficult now that we live an hour away. They used to walk up to their local Morrisons and have a sandwich and a hot drink before the festivities began and the few times I’ve gone along with them, I’ve really enjoyed myself. It’s a nice way to sit back and watch people get carried away before the big day! This tradition started in 2015. We’d arranged to go and see Santa at a local farm, where Henry would have gone on a tractor ride, spent some time with the elves and then seen Santa in his farmhouse. When we booked it, we were told that we could just turn up on that day, I clarified this several times. However, when we got there, we were told that this wasn’t the case and we were sent away. I was raging. But a local garden centre came to our rescue, they had space to see the Big Man 2 days later on Christmas Eve so that’s what we do. We’ll usually book to see him around lunchtime so we can go to the cafe first and have tea and cake before the boys get too excited! The photos are from 2016 (when Archie was 4 months old) and 2017. I actually need to pull my finger out and book it for this year. So those are some of our Christmas traditions. I think it’s important that you have things like this, to get you excited for the big day and make you feel all festive. Do you have your own Christmas traditions? I’d love to hear them, they make me feel all fuzzy and warm! OMG! I didn’t even think of the Festive Drinks being a tradition until you said it! The parade sounds great, wish they did something like that here.